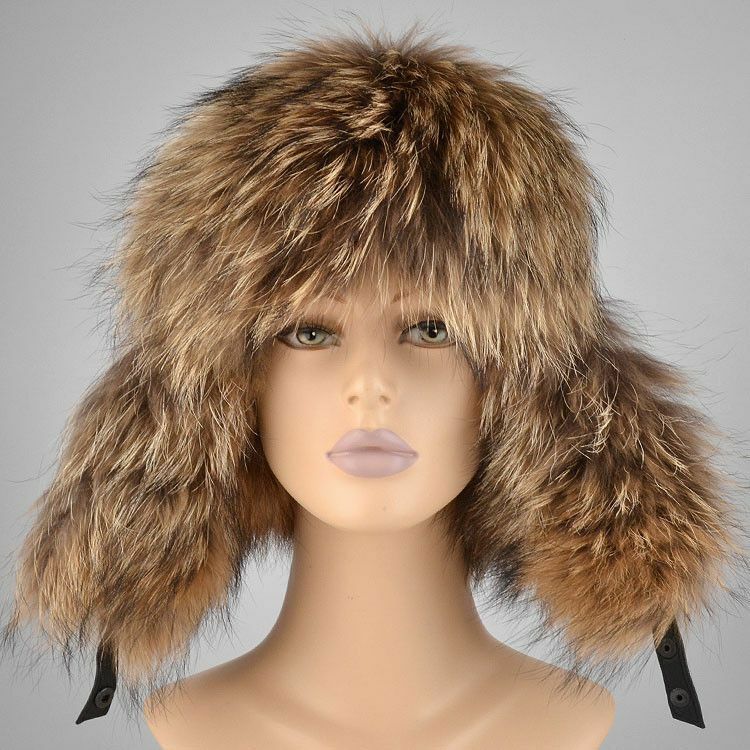 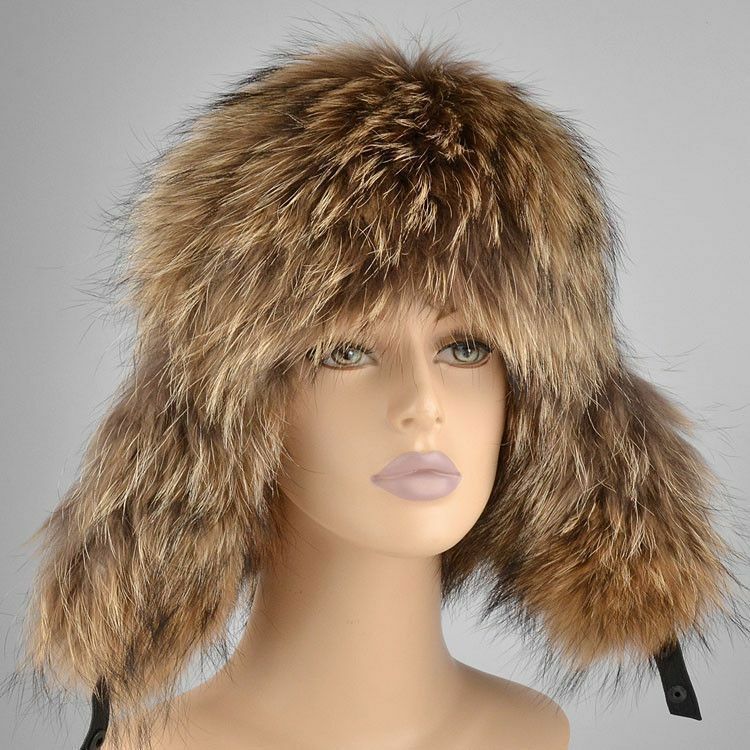 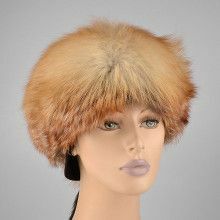 This hand-crafted Russian hat is the perfect balance of warmth, style, and comfort. 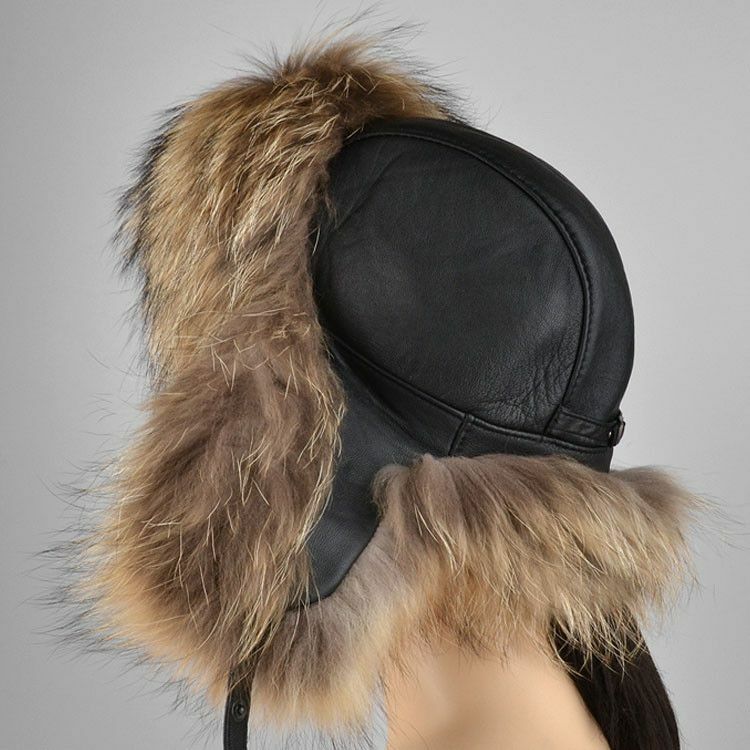 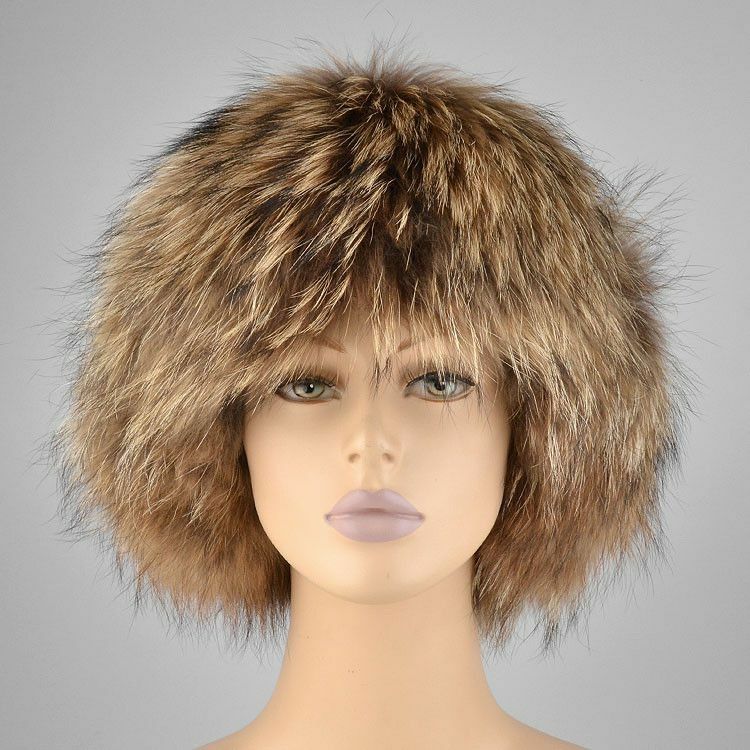 The hat is made of incredibly soft raccoon fur with beautiful coloring, soft black leather, and a quilted lining inside to help keep you even more warm and comfortable. 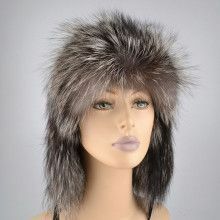 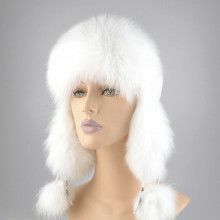 This hat can be worn a few different ways; with the furry ear flaps (containing straps with snaps) up or down. 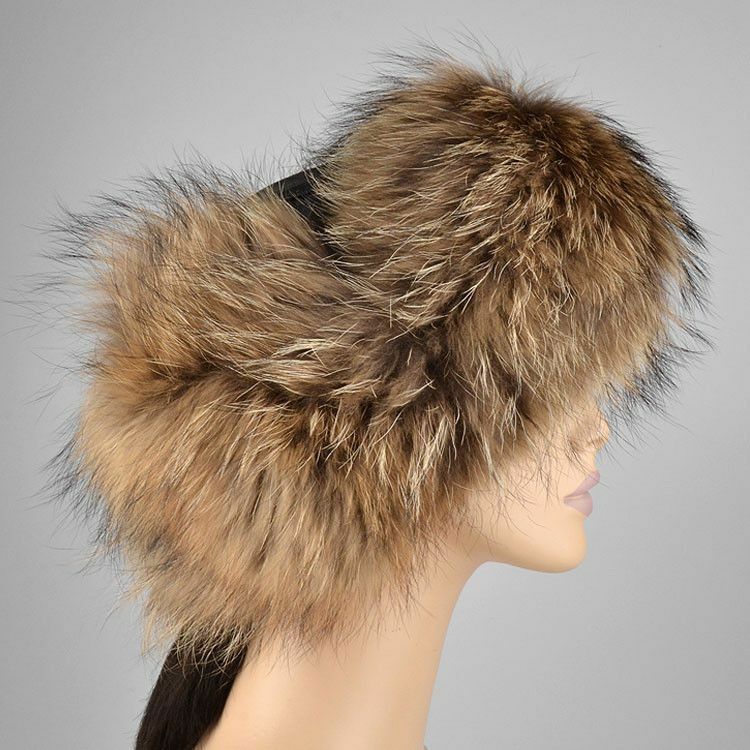 This particular women's fur hat is adjustable two ways; by a belt-like buckle on the outside of the hat and by a hidden string on the inside of the hat. 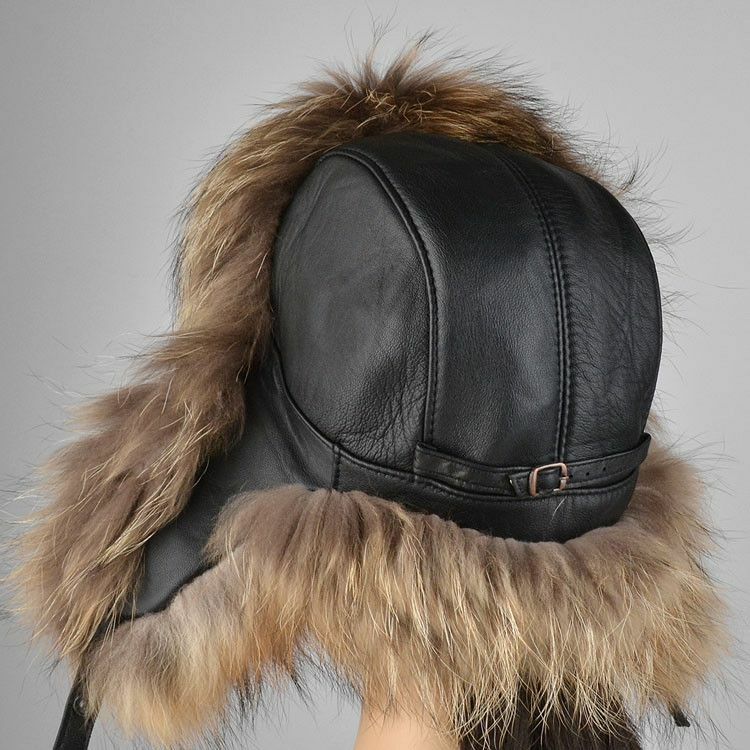 Simply stunning, practical fashion.